Below are videos that I took this morning on my iPhone of a fire on Fifth Avenue and 22nd Street in the Flatiron District of Manhattan. I shot five quick videos that show the fire engines pulling up to the location, the ladders being hiked up to the roof to find the cause of the fire, and the reaction of the people on the street. I transferred the videos from my iPhone to YouTube, then I wanted to post them here. Normally, I would just cut and paste the links from YouTube. You would then have to click on each one of the links to see the videos. A colleague showed me how to embed the videos into my blog post so the videos can be played from.within my blog, rather than sending you to the YouTube site to view them. What I am about to explain can only be done on blog posts or websites. You cannot embed a video in an email. Facebook automatically embeds videos for you, but it is interesting to learn how it is done on other sites. 1-First go to YouTube and select the video you want to embed. 2-Press the “share” button. Normally you would then select to “share” it in email, Faceboo,k or Twitter. 5-Go to the website where you want to embed the video and paste the code in. 6-The actual video will then show up on the page instead of the link. It is so cool. Look at my video posts below. I embeded all of them to show up as videos, not links. I spent the afternoon yesterday visiting two Internet centric companies in the Gramercy Park, Flatiron districts of Manhattan. 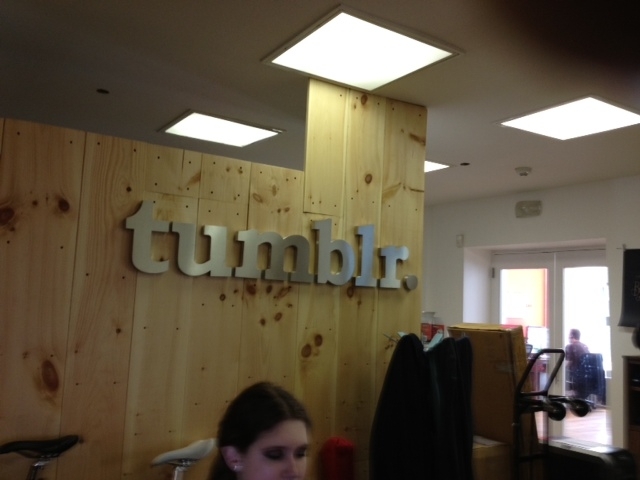 I had no idea that Business Insider and Tumblr were steps away from my office on 21st and Broadway. Yes, I should have known, considering my company has been located in the area for a year and a half. I have been so busy working that I never considered canvassing the neighborhood. I knew that when we moved across the street from the Flatiron building we were in the heart of the NYC digital world. That is why I became intrigued by an email I received a few weeks earlier, asking if I wanted to participate in an open house program called Walkabout NYC. Walkabout NYC was founded by Danny Wen and Shawn Liu of Harvest HQ, a time tracking and billing company in SoHo servicing thousands of customers around the world, from freelancers to small businesses to departments within Fortune 500 companies. 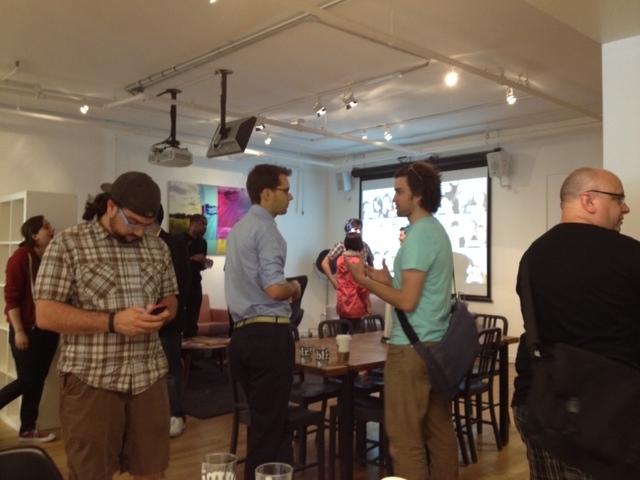 Danny and Shawn have always enjoyed taking tours of creative and entrepreneurial workspaces. No matter what size, they found that the spaces always fostered inspirational energy. Today, Harvest HQ has become a gathering point where the founders invite others to visit their workspace and share their tools of the trade. Walkabout is also expanding internationally. Voxel, an Internap Company, started a Walkabout in Singapore. The philosophy is the same, inspire people in the local technology community of Singapore to explore the spaces, culture and unique energy of digital companies. We never had anything like this when I was in the earlier stages of my career. I guess the local Chambers of Commerce had the same premise by gathering businesses to meet each other. Walkabout NYC was different because you got to visit a lot of companies in one afternoon. Most of the people in the hosting companies were busy working, so the visitors actually got to see a true business day. 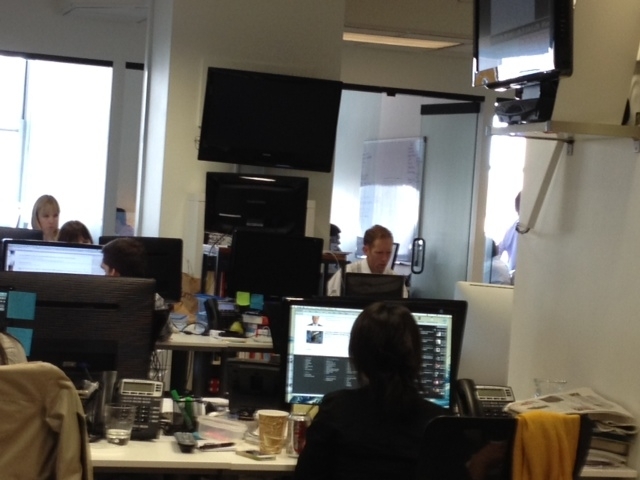 I am still stunned that I spotted Henry Blodget, CEO and Editor-In-Chief of Business Insider, sitting right in the middle of the news room (in my days they called it a city room) typing away. I had just seen him on a TV news show with Eliot Spitzer, the former NY State Attorney General. Both of them were commenting on the recent financial troubles at JP Morgan Chase. Before they started the report, Henry said something like “Nice to be with you under different circumstances” and then got right in to the topic. I thought Henry was referring to the downfall of Spitzer’s political career a few years ago due to his womanizing. If you Google Henry Blodget you will see it was an entirely different situation. Henry is someone to be admired. He is a great role model as to how to reinvent yourself and always be of significance. I loved that he was immersed in whatever he was writing and didn’t even know there was a room filled with visitors. 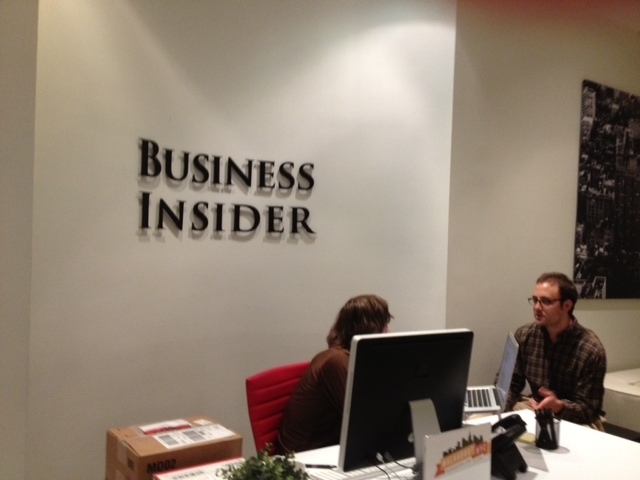 Someone from BI confirmed that the workspace he was sitting in was his office. He has two computer screens, one where he sits, the other where he stands. I have never seen anyone stand and write but apparently he does. My friend Adrian Rice from Steelcase should pitch him on their workspace treadmill, which is now a big favorite for those who want to get some exercise while they work. I was so enamored when I saw Henry working away, I couldn’t wait to get back to the office to write my blog and handle several of the hundreds of tasks I have to do for my PR clients every day. The list is always endless. We all need to be motivated as often as possible. I can’t wait for the next Walkabout NYC.